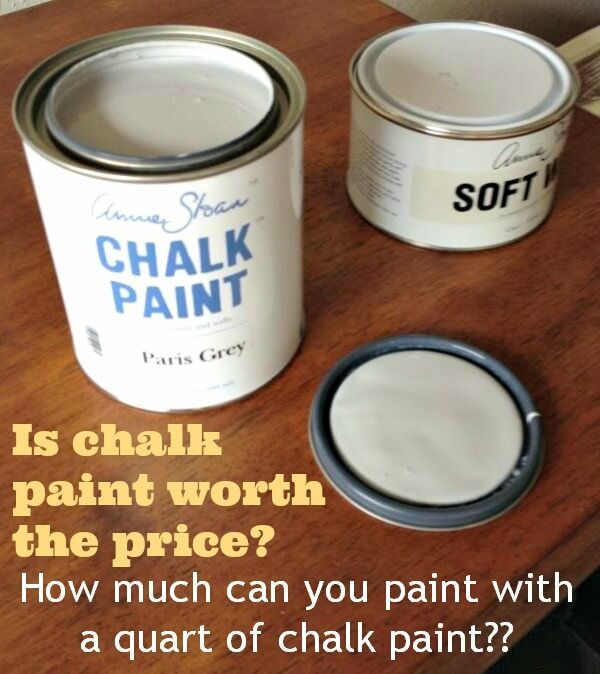 How Much Can You Paint with a Quart of Chalk Paint? Whenever anyone asks me if I use chalk paint and if I recommend it, I always feel obligated to let them know about the price. Just one quart of chalk paint runs you around $40. I pay a few cents over $40 when buying Annie Sloan chalk paint once the tax is added, and for CeCe Caldwell’s Paints I spend a couple dollars less than that. Either way, it’s not cheap. If you’re only painting one piece, you may be better off buying a couple sample sizes, which are still kind of pricey, but will save you some money. 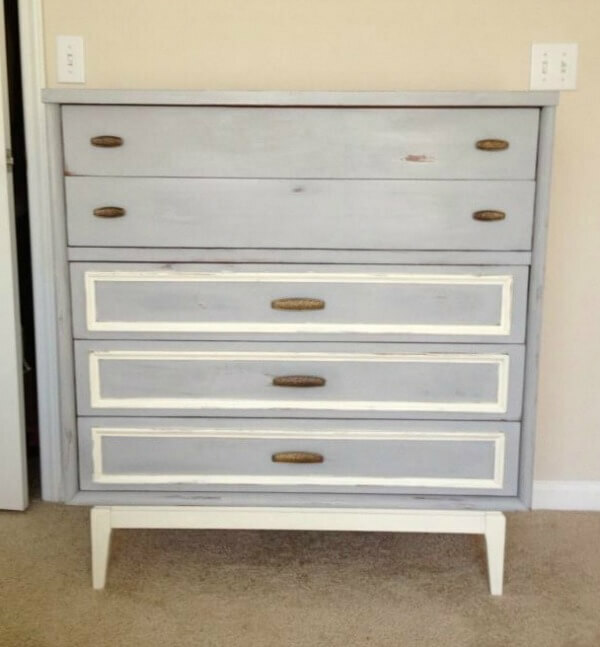 If you’re getting into this furniture painting business, this is what you can expect to get out of 1 quart of chalk paint. 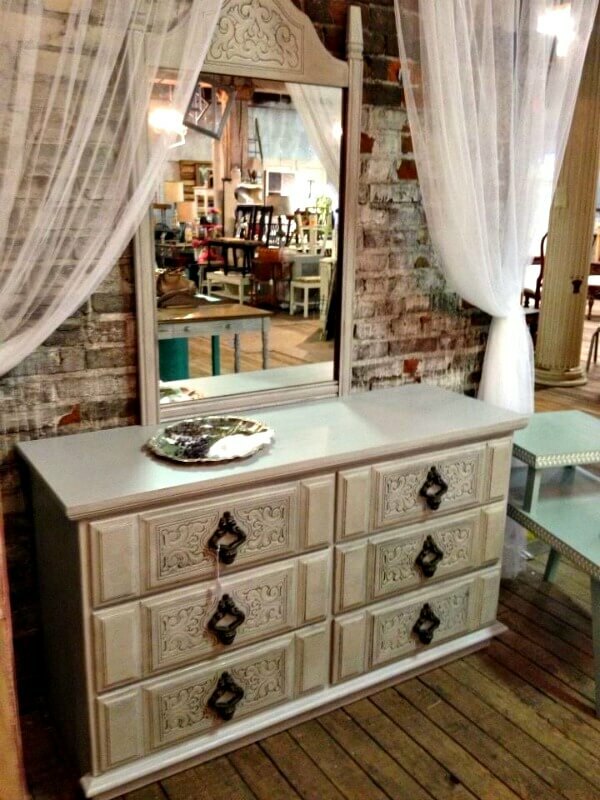 First I painted this bedroom set which consists of a dresser (with mirror), a chest of drawers, and a night stand. Then I painted this bedroom set which consists of a dresser (with a mirror that isn’t pictured) and chest of drawers. Then I painted another nightstand which is the middle left nightstand below. And finally I scraped from the bottom of the can to paint this headboard. That’s EIGHT pieces of furniture. And not just tiny pieces either. That is just an average of $5.00 per piece of furniture. Not too shabby if I do say so myself. 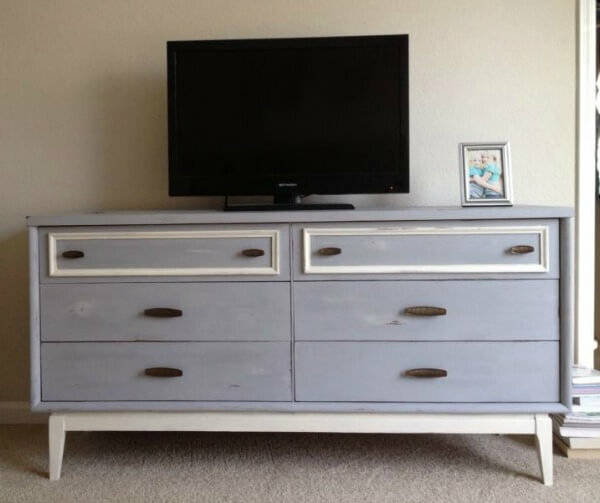 So next time you wonder if it’s worth it to try out the chalk paint, just make sure you have quite a bit to paint, and it will definitely be worth the price. And if you’re looking for a the best paint brush for chalk paint, you can read about my favorite here. UPDATE: I don’t actually use chalk paint for painting furniture anymore, and this is why. Annie Sloan is my favorite of the two, but I use a lot more CeCe’s, mostly because it’s closer to me. I don’t really like the wax though, I use polyacrylic instead so that the finish is more durable. Thank you,I’ve been wanting to try the chalk paint but the price has scared me off. I was concerned it would only paint a foot stool or coffee table,not even both lol. Now I feel it’s worth buying 2 different color quarts and go wild. I love your blog and all things you create. I came across it thru Better After blog. Always look forward to it. Thanks for following, Pam! 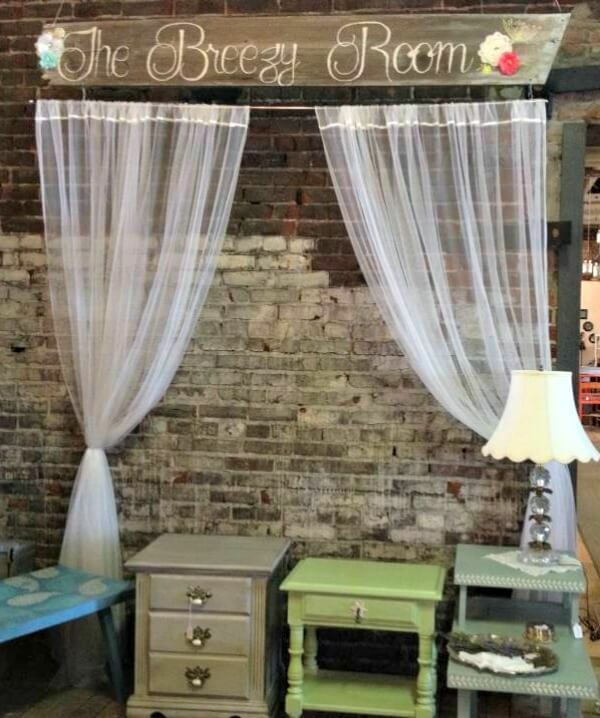 I feel like Annie Sloan Chalk Paint definitely lasts the longest, so go with that one if you can. Hi! I was curious, would a quart of paint be enough for a loveseat? 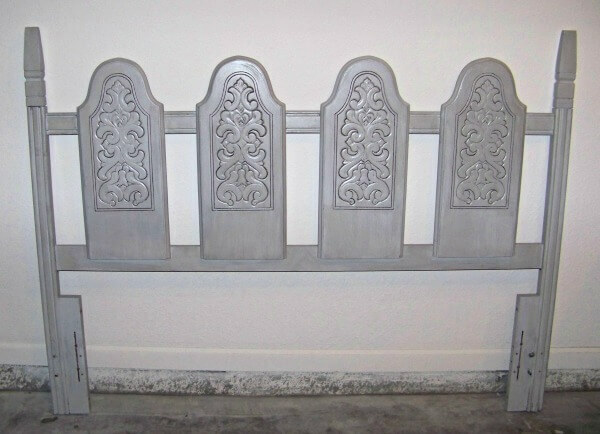 I am painting my cream fabric loveseat a medium/light gray color using Annie’s chalk paint. Hoping one quarter will be enough. I know fabric takes more paint though. Do you have any idea if it would be enough? I assume a quart will be enough, but I have never painted fabric before. Sorry I’m not more help! Good luck! Your post really helped me, thanks a million and your pieces look gorgeous! Please clarify, you prefer poly acrylic over Annie Sloan wax? I’ve used her paint and clear wax, just wondering if there’s a more reasonable item to use in ace of the wax? Thanks for any input! Yes, poly over wax every time! I personally am not a fan of wax at all. I don’t think it’s as easy to use as they claim, and while I know it has its place, you have to apply and buff it correctly to make it durable, plus reapply every few years or more often if it’s on a heavily used piece. I prefer a clear coat. 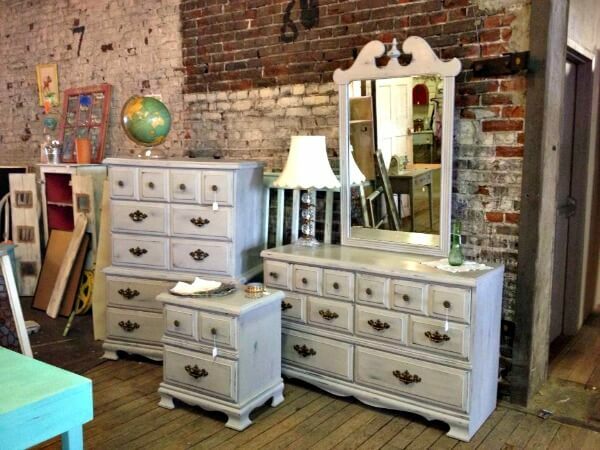 I have never used chalk paint and am going to tackle my bedroom furniture this summer. I have a king sleigh bed, dresser with mirror, 2 nightstands and an amoire (although I may not do this piece as we now don’t need it. thank you for the tip on poly over wax. I am guessing when it is completely dry from chalk paint you put the poly on? Also, do you need to sand down the wood first or just apply the chalk paint? Thanks! Lisa, I really don’t use chalk paint as much anymore. You can get the same finish and a more durable finish using flat latex paint and polycrylic. But if you’re using chalk paint anyway, I’d apply the poly the next day. Sanding depends more on the condition of your wood than on the paint you use. It’s always a good idea to lightly sand with a sanding sponge during the cleaning process to knock off any imperfections. I mean it really depends on how thick you apply it and the type of coverage you get. I was able to do that with mine, but I can’t make any promises. I would totally lightly sand with a sanding block even though it isn’t real wood to help the paint adhere better.